"Managing Stress – Professional and Personal"
Dr. Philippe SCOTTO – Founder/CEO, La Taureau Corporation. Received the Nobel Peace Prize 2005 with the IAEA (Intl. Atomic Energy Agency). FOREVER LIVING PRODUCTS Seminar held at the Palais des Congrès for Top Leaders on October 11, 2013. 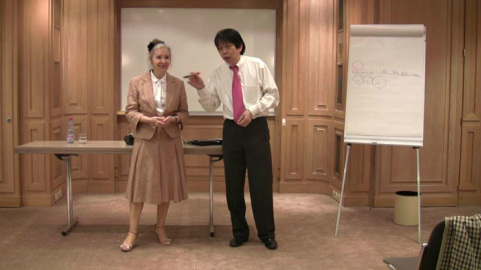 The 3-hour training seminar on "How to Stay A Top Leader Forever" was held in Versailles, France. 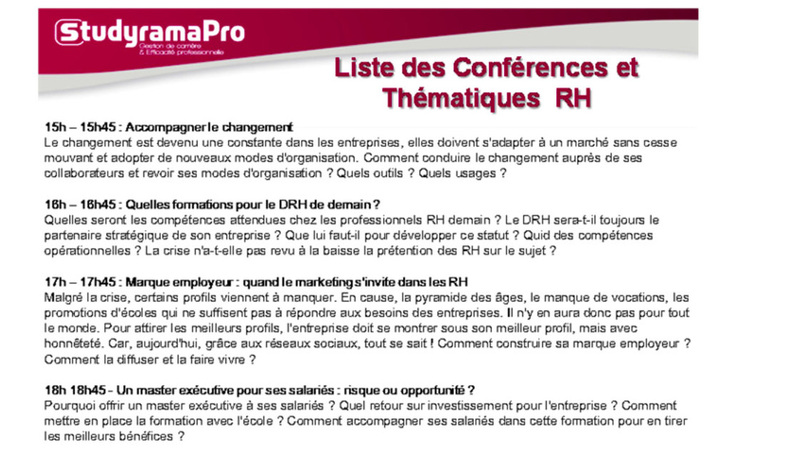 Dan Low was a speaker on the HR Managers Roundtable theme: "Accompanying Change", held on February 21st, 2013 at the Salon de la Formation des Cadres & Salariés organized by StudyramaPro. 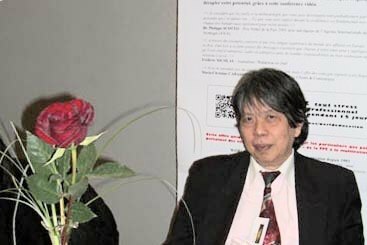 ​Conférence CGPME Jeudi 2 Avril 2015 à Paris. "Augmentez de façon spectaculaire vos résultats trimenstriels & le bien-être des employés". Cet événément à été organisé par la CGPME à l'intention de ses membres. "4 erreurs fatales à ne pas commettre – que vous soyez en poste ou pas"
Mercredi 16 Avril 2014 de 20h00 à 22h00. Cet événément est organisé par le réseau OUDINOT à l'intention de ses membres. 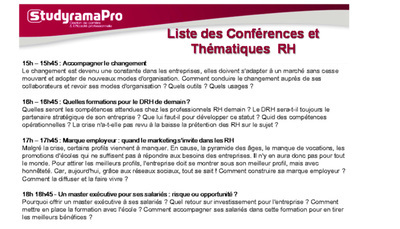 Programme de la conférence, cliquez ici. Conférence AMCHAM September 18, 2008. 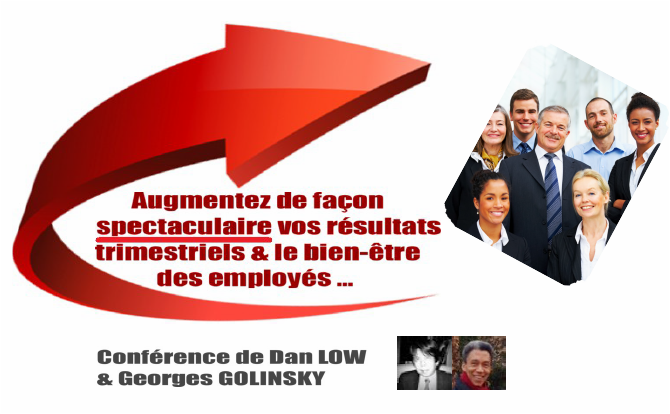 Organized by the Human Resource Task Force at the American Chamber of Commerce in Paris. The topic was "Corporate strategies and management efficiency". Tuesday, January 23, 2007 / Paris. * This event was organized by OUDINOT exclusively for its members. See feedback & evaluation on the conference here. A monthly series of advanced management workshops for senior top executives were conducted by Dan Low at the OUDINOT Network from 2008-2010. 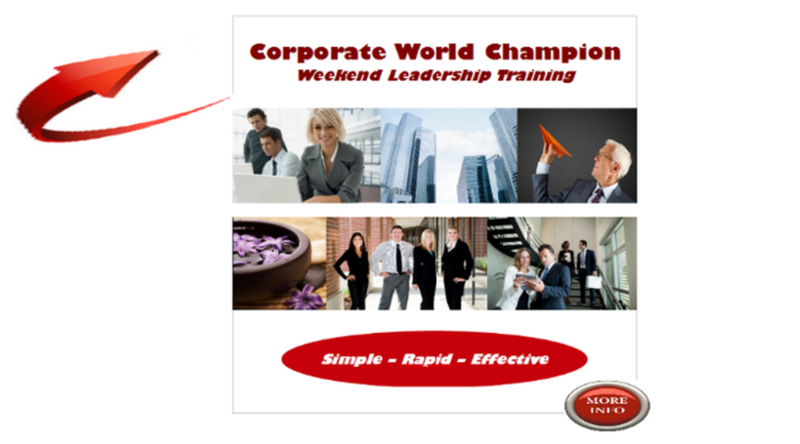 OUDINOT Network Conference "How to be a Corporate World Champion"
Thursday, April 5, 2012 from 19h30 to 22h00. This event was organized by the OUDINOT Network for its members. 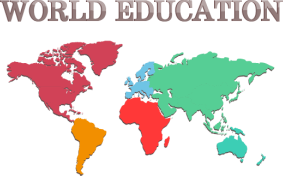 For the program, please click here. Keynote speaker: Dan Low on "Maximizing your potential through better communication". Thursday, December 7, 2006 / Luxembourg. 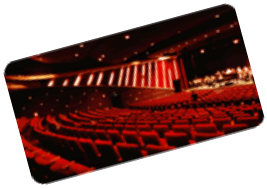 This event was organized by ITSMF Luxembourg exclusively for its members. Speaker: Dan Low on maximizing your potential through better communication. Thursday, May 18, 2006 / Brussels. This event was organized by ITSMF Belgium exclusively for its members. April 21, 2006. Dan Low was invited as guest speaker before an audience of ambassadors for the Group 77 presided by H.E. Ms Samira Hanna-el-Daher. Present at the session was H.E. Mr. Zhang Xinsheng, Chairman of UNESCO. Organized by ANECS – National Association of Junior Chartered Accountants & Auditors. Saturday, October 22, 2005 from 9.30am to 12.30pm. Espace Vinci - 25 rue des Jeûneurs - 75002 Paris. Conference reserved for members of ANECS. Conference: "Essential practices to attain our objectives"
Tuesday, November 2, 2004 from 11am to 1pm. At L'Entrepôt – 7 rue Francis de Pressensé – 75014 Paris. This conference was intended for executives looking for work. It was organized and offered by TEBOPRO, a company which is an interface for managers, specialized in job-hunting techniques. 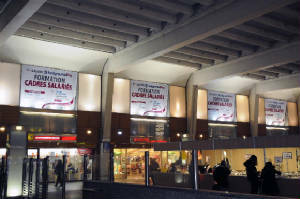 Thursday, September 30, 2004 at the Salon des Micro-Entreprises held at the Palais des Congrès in Paris, France. Dan Low intervened with other speakers in a workshop organized by INTERFRENCH – an international networking association of more than 8000 professionals and alumni of major business schools. Dan Low was also invited to speak on the topic "To be an Entrepreneur" during the opening session of the CERCLE DES CREATEURS D'ENTREPRISE that same day. |||||| Training of young people in difficulties – Organized by Jeunesse Feu Vert of Villetaneuse / Epinay-sur-Seine. This pilot project on prevention implemented by Dan Low was financed by the Robert Steindecker Foundation. Copy of the report (in French) is available here.